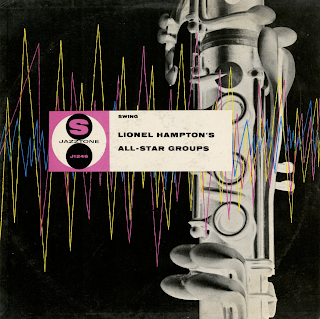 From the back cover: Open House (Hampton, vibes; Marshall Royal, clarinet; Ray Perry, amplified violin; Sir Charles Thompson, piano; Irving Ashby, guitar; Vernon Alley, bass; Lee Young, drums – December, 1940) is a happy, bouncy opus played by a group of Hollywood swingsters. 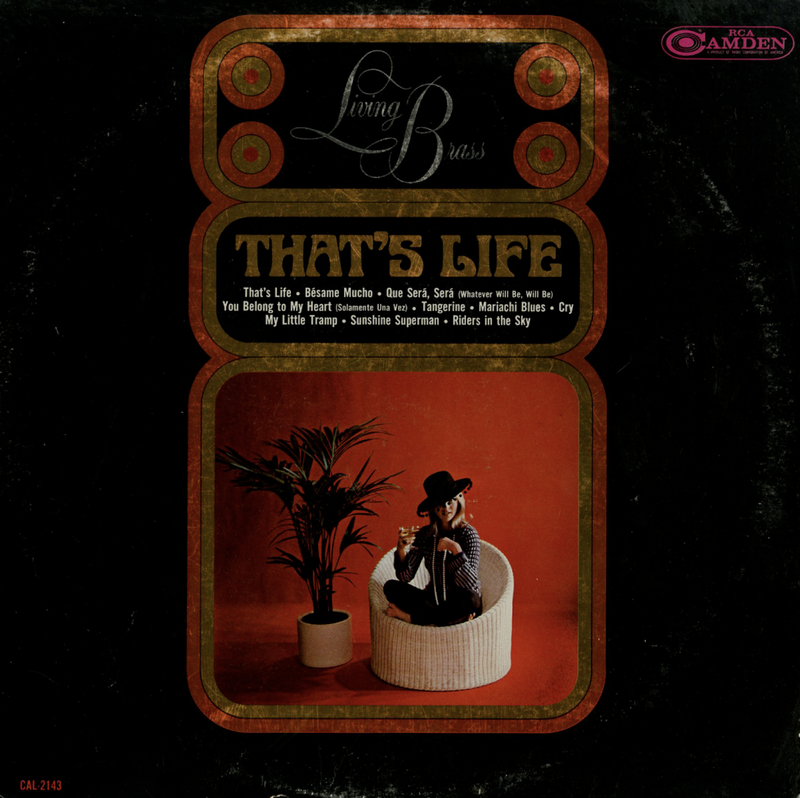 Ashby's guitar answers Perry and Royal (the latter is currently Count Basie's lead saxist) to start things off; Hamp, Perry, Royal and Camp again solo. Ashby swings through the first of the last chorus, with Alley's hugh-toned bass filling in the open holes, and then all return to the original riff. Available from online vendors so I will not be posting a sample. Presented here to share the cover art and jack notes excerpt. 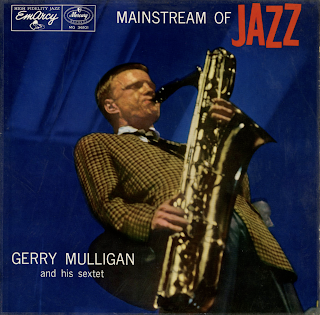 From the back cover: Gerry Mulligan's attitude toward music is in line with these developments. Though an uncompromising modernist, he has always remained firmly rooted in the harmonic and rhythmic origins of jazz and its improvisational elements. As an arranger for big bands, he has often displayed characteristics that seem to stem from the best of the swing era writers. It is significant that his vote in the "Musicians' Musicians" poll in The Encyclopedia Yearbook of Jazz named Duke Ellington, Ralph Burns, Gil Evans, Bobby Sherwood, Eddie Sauter and Bill Finegan as his favorite arrangers. 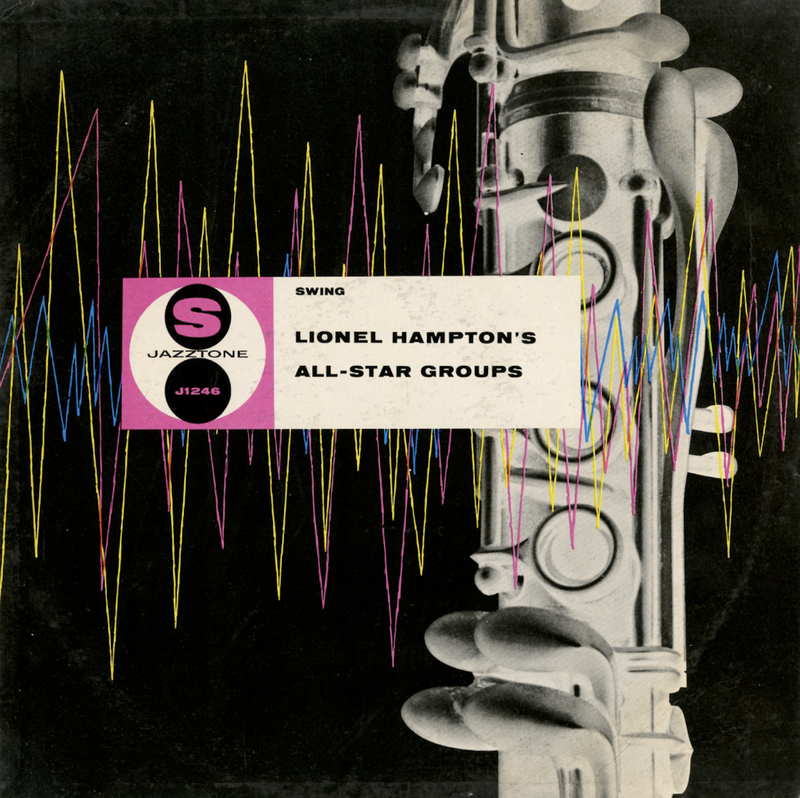 Similarly in improvisation his tastes and knowledge reflect an awareness of the entire history of jazz rather than simply the recent developments. Red Nichols ranked side by side with Dizzy Gillespie among his selected trumpet men, just as the late Irving Fazola shared Gerry's clarinet vote with Benny Goodman. 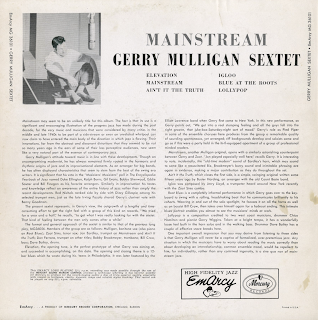 The present sextet represents, in Gerry's view, the outgrowth of a lengthy and time-consuming effort to get the right feel with a group of this kind on records. We tired for a year and a half," he recalls, "to get what I was really looking for with the sextet. That kind of feeling between the men only comes after a while." 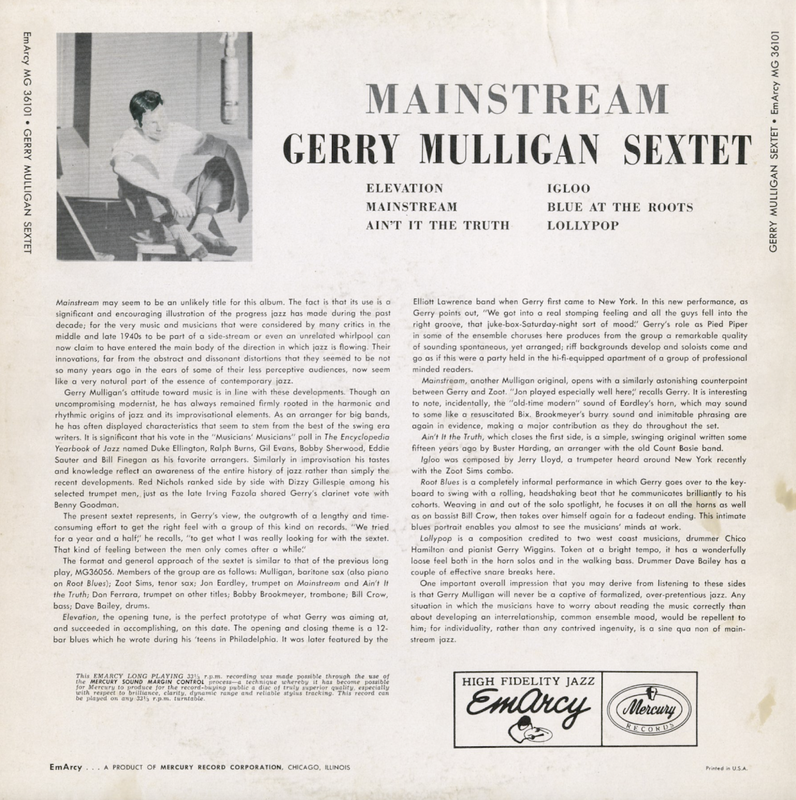 The format and general approach of the sextet is similar to that of the previous long play, MG36056. 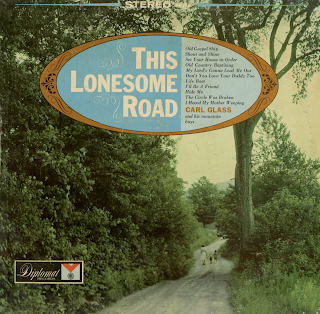 Members of the group are as follows: Mulligan, baritone sax (also piano on Root Blues); Zoot Sims, tenor sax; Jon Eardley, trumpet on Mainstream and Ain't It The Truth; Don Ferrara, trumpet on other titles; Bobby Brookmeyer, trombone; Bill Crow, bass; Dave Bailey, drums.